Travel in an easterly direction from Barrydale towards Ladismith along the R62 for 65 km. Turn left at the Laingsburg road and continue for 11 km until you reach a t-junction. Turn right towards Ladismith and after 5.2 km turn left at the first Dwarsrivier turnoff which is just after a sharp bend to the left so please be careful not to miss this turn off. 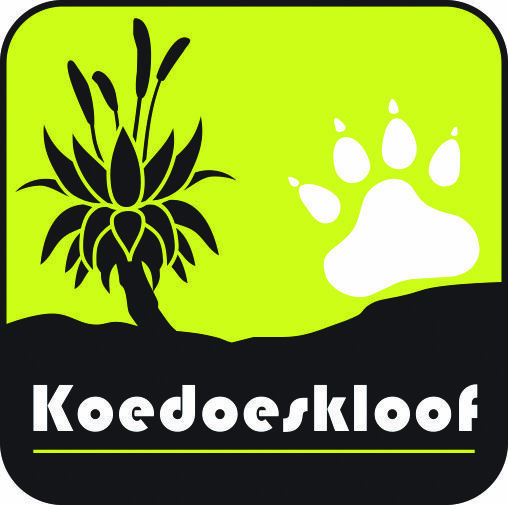 Koedoeskloof is 536 m down the dirt road on your left. Travel in a westerly direction from Oudtshoorn towards Ladismith along the R62 for 99 kms (Do not turn left towards Barrydale or Cape Town at Route 62 garage in Ladismith) and follow the right hand 90 degree turn just after the big white church on your left. After approximately 200m you will get to a t-junction. Turn left on the Laingsburg road and travel for 9 km where you will find the second Dwarsrivier turn off on your right. Travel along the R323 from Riversdale to Ladismith for 68 km. Turn right towards Ladismith for 3.2 km and turn left at the Laingsburg road and continue for 11 km until you reach a t-junction.